Nanako Aramaki is a Japanese-Canadian flamenco dancer based in Europe. Growing up in Vancouver, Canada, Nanako began her dance and music training there in ballet and piano at an early age. She was introduced to flamenco by her mentors Rosario Ancer and Victor Kolstee at the age of 16. Within four years Nanako would take the stage as a professional dancer with the Flamenco Rosario Dance Company. With this company, Nanako performed throughout Canada and Mexico with the award-winning show “Mis Hermanas”. The catalyst for Nanako’s advancement in flamenco was the completion of the 9-month advanced dance program at the Cristina Heeren Flamenco Foundation in Seville, Spain. Her teachers included renowned artists Milagros Menjibar, Rafael Campallo, Ursula Lopez, and Carmen Ledesma. Since then, Nanako has continued to study with other flamenco greats, such as Concha Jareño, Pastora Galvan, Pilar Ortega, Adela Campallo, Miguel Vargas, Pilar Ogalla, and Andrés Peña. In recent years, Nanako has performed and taught workshops in Germany, Scotland, Denmark, Kenya, Zanzibar, and the UK. In Germany, Nanako has danced with various groups including Quejio, Compañia Flamenco Azul, and the Ensemble of Benares. She co-produced and choreographed the show “Alas y Olas” with Raphaela Stern in 2013 and toured Germany with the show in 2014. 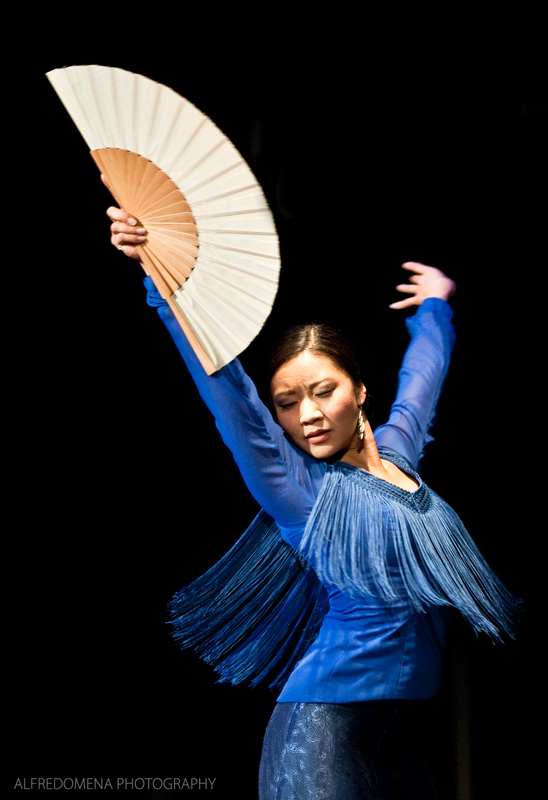 Nanako is an active member of Mestizo Flamenco in Germany and the Flamenco Rosario Dance Company in Canada. She also tours regularly with flamenco guitarist Ricardo Garcia whom she worked with in the 2015 Edinburgh Fringe Festival. Nanako continues to actively tour internationally with her various groups. For more information, please visit the performances and classes pages.